Towles delivers a sophisticated and entertaining debut novel about an irresistible young woman with an uncommon sense of purpose. 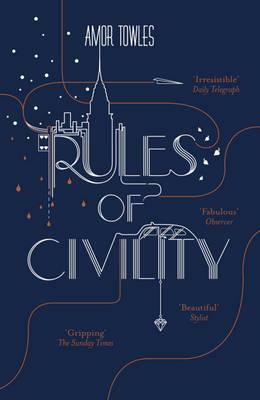 Elegant and captivating, "Rules of Civility" turns a Jamesian eye on how spur of the moment decisions define life for decades to come. Amor Towles was born and raised just outside Boston, Massachusetts. He graduated from Yale University and received an MA in English from Stanford University, where he was a Scowcroft Fellow. He is a Principal at an investment firm in Manhattan, where he lives with his wife and two children.